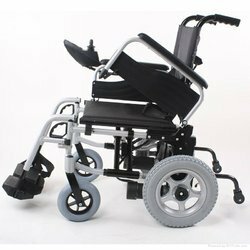 We are a leading Manufacturer of folding wheelchairs, folding power wheelchair, foldable wheelchair, folding manual wheelchair, folding commode wheelchair and economy model folding wheel chair from Chennai, India. 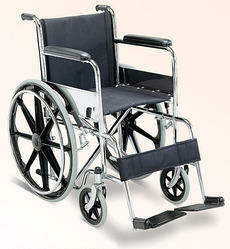 We offer Foldable Wheelchairs to provide the options of using both indoor and outdoor purposes. It provides ease of transportation. We are leading Manufacturer and Supplier, Trader of wide range of Folding Power Wheelchair in Chennai, Tamil Nadu, India which are suitable for indoor as well as outdoor purposes. We are leading Manufacturer, supplier and Trader of aluminum Foldable Wheelchair, which are suitable for indoor as well as outdoor purposes. Seat – fabric seat with foam. Backrest – fabric backrest with foam. 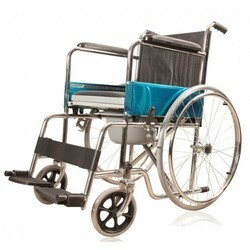 We offer a vast range of Folding Commode Wheelchair which are specially designed for aged and physically challenged people. Seat - detachable cushion fixed seat. Backrest - fabric backrest with foam. 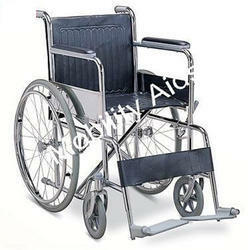 We are engaged in offering genuine quality Economy Model Folding Wheel Chair to the customers. Castor's Rear solid Rubber tyres. Seat and Back of Tetron Fabric. 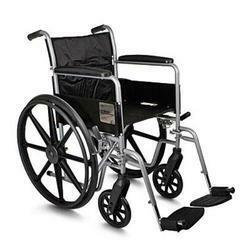 Looking for Folding Wheelchair ?